Thirteen years ago, Canon brought out the 5D Mark I, the first full-frame camera that wasn't weather-sealed and the size and weight of a small car. Photographer Pablo Strong explains why it's still his first choice for street portraits, bravely comparing it to a 5D Mark IV. I was fortunate to own the first iteration of the 5D. Bizarrely, I was pretty much forced into buying one in Rome, when halfway through three weeks of dirtbagging around Italy with two friends in a 1976 Citroen 2CV, the shutter on my 1D failed and at 5:30 pm on a Saturday, I was faced with the choice of either buying a 5D using my friend's credit card or not taking any photos during the remaining ten days of the adventure. It was a big investment, and jumping from a crop sensor with a high frame rate to a full frame with a slow frame rate was a huge change, but one that I quickly came to love. I truly miss my 5D, in the same way that I still miss my even older EOS 5. The extra width on my 16-35mm lens reminded me of one of the things I missed about shooting film, and the combination of the "consumer" mode dial with the "pro" shutter/aperture dials made it a joy to use. And Strong is right: I'd recommend this body to anyone new to photography who wants to learn about shutter speed, aperture, and ISO. With the controls right under your finger and thumbs, changes are more accessible (one dial does this, the other dial does the other), and shooting in good light means that, even thirteen years on, the image quality is comparable. If you've still got one lying in a cupboard somewhere, maybe dig it out, give it a clean, chuck on a 50mm f/1.8, and go and enjoy some street portraiture. The 1976 Citroen 2CV, the Alps, and what happens when your shutter fails when standing right next to the Colosseum in Rome. 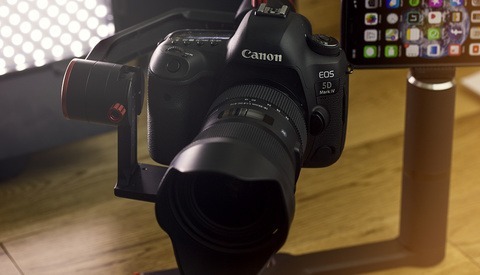 Is the D850 Losing to Canon's 5D Mark IV? I still pull my 5D Classic out from time to time, and there's even instances where I prefer it over the updated 5D Mark II and IV that I have access to. The lack of whiz-bang features make it feel like a film camera that just happens to shoot digital images. If mine ever dies, I'll certainly be replacing it with another. And at ~$400 these days, it's a great intro to full frame for people on a shoestring budget. I bought one in the last month. 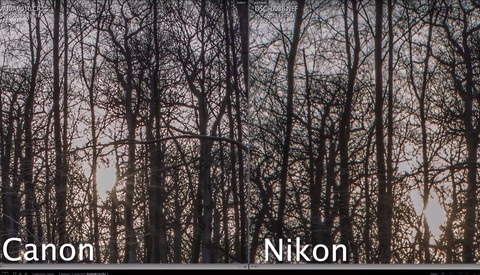 It really does stand up to today's cameras(compared to a 7d mk Ii). Yes it's not as "fine" quality, quirky as hell when your used to the new stuff... But it sure is wide, not as much dynamic range but makes things more dramatic. Not used it long enough to say anything... Other than it's a fine camera. Yes! I love mine and I still use it a lot. Excellent with a 50 or 85.
more and more I want to get one for me as a backup camera cause it is realy awesome old technology gear!!!! Never seen this 5D Mark I or 5D Classic people speak of. Just the 5D and the Mark II, III, IV, S and SR versions. Hey Johnathan me too...I repair cameras for a living and I've NEVER seen this fabled Canon 5D Mark 1 or the 5D Classic.!!! I never heard the Led Zeppelin IV album either, but that record from 1971 with Stairway to Heaven on it sure rocks the socks off. God I hate warp stabilizer. It does not replace a gimble or smooth video. What it shows is that if you shoot driver's license style pics on a well lit time of day, even a phone pic looks decent. Now try it at night or various times of day and inside. It's still pretty good up to about 3200. With a quick lens it can definitely still hang. Great camera, ahead of the time, and still has a great 'look' to the files given the big pixels. Quite funny to see this article praising an old but very decent camera, and the other article basically saying : all your gear will be useless thanks to a new mirrorless. I'm with the writter on this one : old gear can still rock, if you use it well ! That's one of the things I also like about the Fuji X-T1 and X-T2, they have "classic" dials for the basic settings. There is no Canon EOS 5D MkI nor is there a 5D Classic. If folks aren't smart enough to figure it out they should take up skydiving. and some don't know sarcasm ! I have thought about adding one to the kit but eventually added another 5D Mark II so I don't have to deal with another battery type. They are all great cameras and I can't see myself moving from the 5D range any time soon. Currently I work with 3 5D Mark II bodies but I am waiting for the next 5Ds/SR to see what that brings.